since I've updated my MacOS to 10.12.5 the iGetter context menu doesn't work anymore in Safari. It's still there but when I click on 'Download with iGetter" nothing happens. 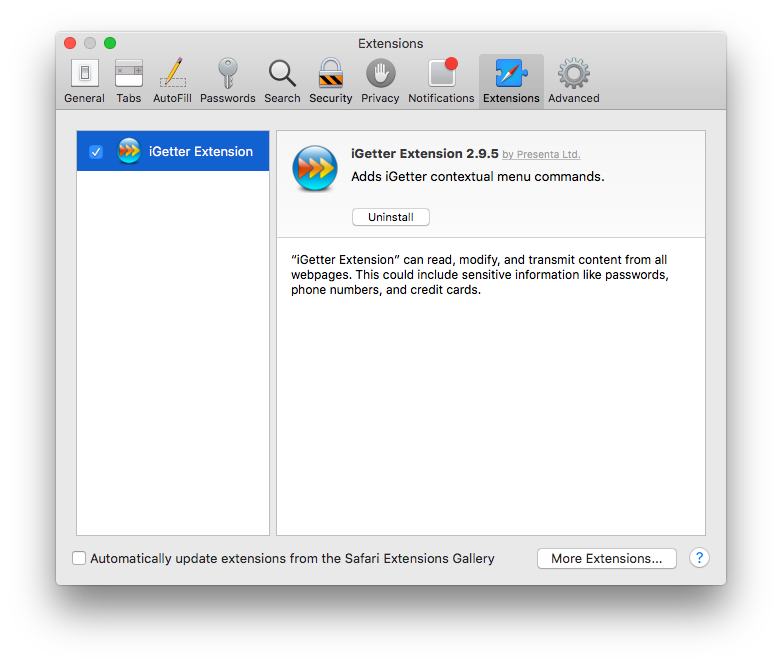 We tested iGetter v2.9.5 with Safari 10.1.1 on Sierra 10.12.5. And iGetter integration works fine. In some cases Safari resets its plugin settings, so you need to enable iGetter Plugin(s) as explained above. I uninstalled the plugin, rebooted my Mac, installed it again. No luck. The plugin is enabled as described. "Download with iGetter" appears in the context menu but when I click on it nothing happens.